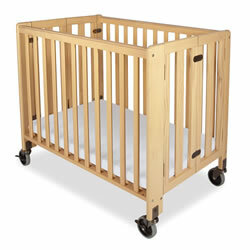 Kaplan Early Learning Company is proud to offer Foundations cribs and other child care furnishings. Foundations is a world leader in supplying products to the early child care industry. Their commitment to safety and world class product development addresses the unique needs of a commercial environment and is unsurpassed. 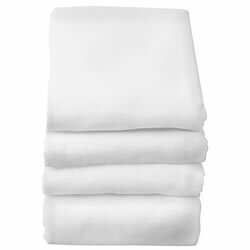 White full size sheets (for mattress 3"-6" thick) are 100% cotton knit. Provides the ultimate in softness and durability. Elastic ensures retention to mattress and durability throughout heavy laundering. Set of 6. 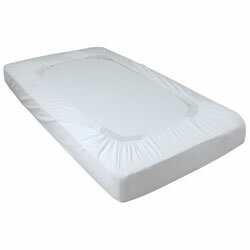 Full size 28" x 52" mattress is made from a high density foam with commercial grade vinyl cover. Easy to clean, hyper-allergenic, anti-microbial. Meets standards ISO22196, AATCC147, and 1633 fire standard. Features a safe, fully enclosed steel gliding mechanism. 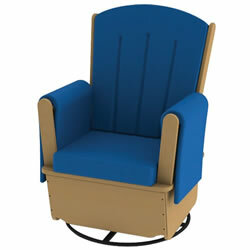 Wide seat with thick, high density foam and arm rest support for feeding. Side pockets keep necessities handy. Removeable seat cover and side panels, machine wash / hang dry. Natural finish. Assembly required, tools included. Limited 3 year warranty, 1 year on cushions. 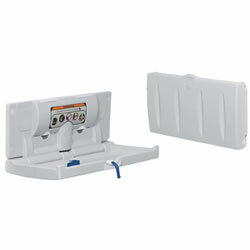 Measures 42"H x 26"W x 28"L. Weight capacity 300 lbs. Seats 4 children, up to 40 lbs. each. Commercial grade stroller features independent reclining seat backs, 10 rubber tires, foot activated brake, runaway brake, heavy-duty vinyl-coated fabric and 2 canopies. Measures 50"L x 33 3/4"W x 40"H. 70 lbs. Measures 41"L x 32 1/2"W x 22"H when folded. This Compact HideAway™ crib blends safety, convenience, and functionality at an affordable price. Includes a 2" foam mattress with a sleeping surface of 24" x 38". Features: two point pivot hinges that keep hinge flush with crib to prevent clothing and bedding from getting caught and allow the crib to fold with ease for storage, and 4" non-marking ultra quiet casters, Natural finish. (Please note: Meets CPSC requirements for the USA, does not meet Canadian requirements).